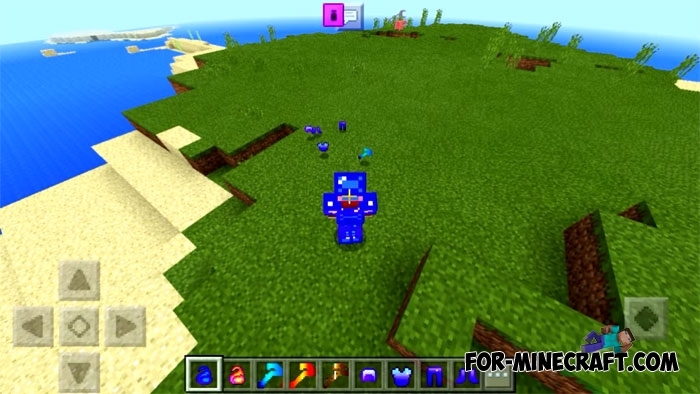 Elemental Staffs mod adds new armor, staffs and other items that can come in handy at any time. 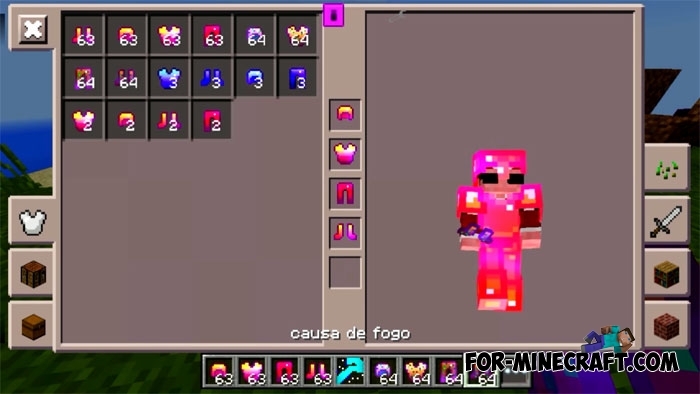 You will receive 8 sets of armor with unusual effects and animation. 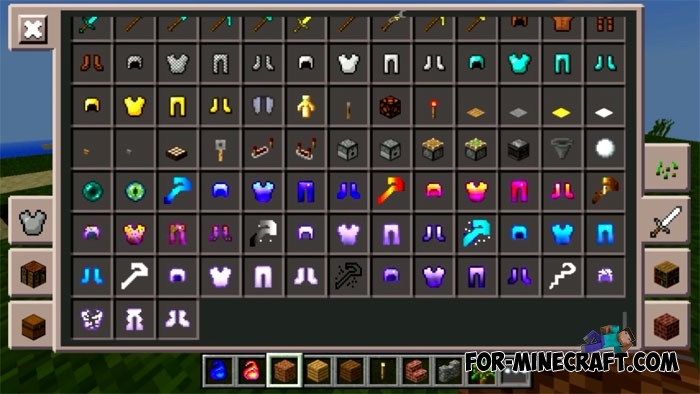 There are 8 magic items with which you can get all types of armor by simply breaking them. These items are in a special box or can be taken from creative inventory that much faster. Each element stores a full set of armor and creates a spectacular ring on the ground if you throw it. Fixed many bugs in the code that reduced the number of bugs. New power for water and fire armor. Also, water armor allows you to run on the surface of the water. Weapons include the staffs for all occasions, for example there is a freezing staff that forms an ice block and freezes water. The staffs do a lot of damage and are easy to use and also require the energy that accumulates for the performed actions. Creator block is designed for quick crafting, you need to specify the number and click the button. This block can be put in your house or added to levels in mini games. 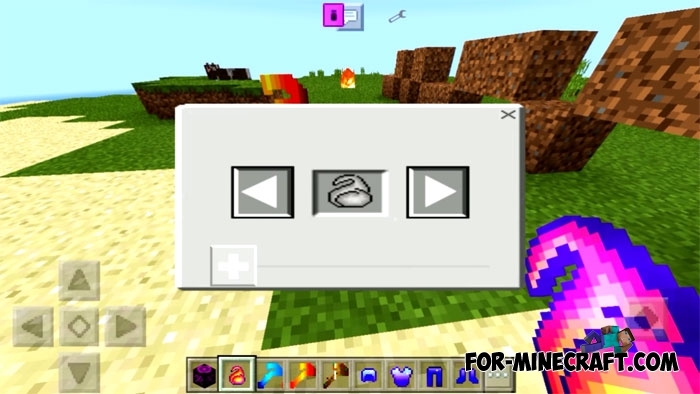 Small Magic-craft mod 1.2.0 for MCPE 0.11.XYou want to create the magic and miracles in the Minecraft PE 0.11.1?! Install this amazing script, especially since this version is already received some updates! Weapons+ (Weapons Plus) mod for Minecraft 1.7.10Weapons + Mod - this mod adds a great weapon in Minecraft. The peculiarity of weapons - futuristic style. 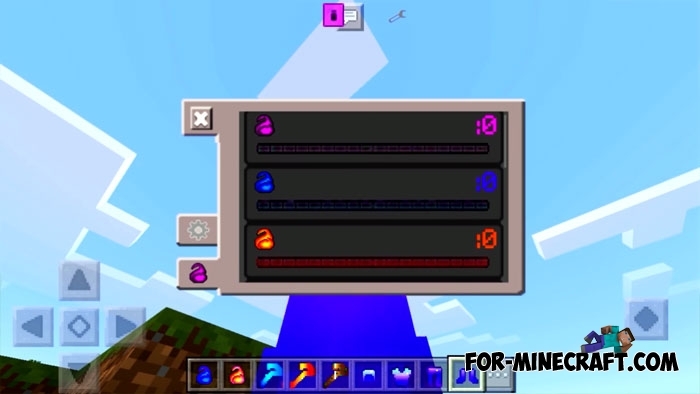 Elemental Witches mod for Minecraft PE 0.10.5Elemental Witches mod added seven natural witch - a fire witch, water witch, earth witch, etc.